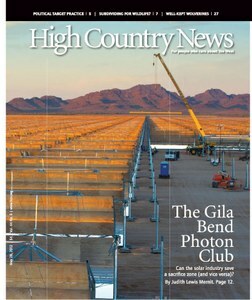 At last -- a place to put utility scale plants that won't ruin the desert. 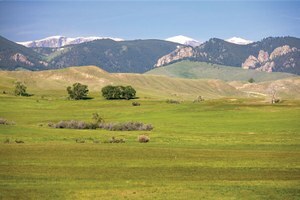 But will politics and the economy get in the way? 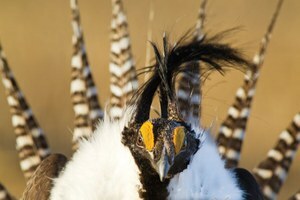 Candidate conservation agreements try to keep rare species, like Colorado's Gunnison sage grouse, off the endangered species list, or at least healthy enough to lessen the restrictions that come with listing. 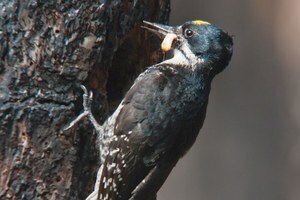 Forests ravaged by fires and beetles are unlikely havens for certain species, including the rare black-backed woodpecker. 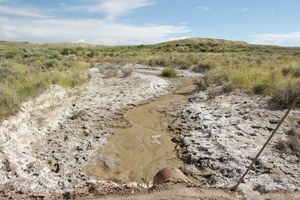 Researchers try to determine if unhealthy amounts of selenium are entering Western soil and water due to energy development. 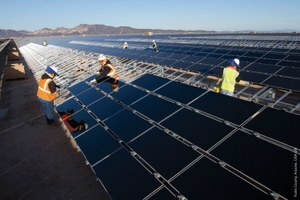 What's the best place for Big Solar? 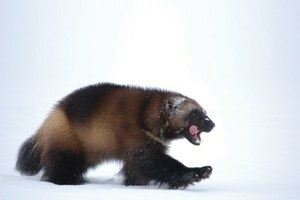 Environmentalists have been too busy squabbling over proposed solar plants to pay much attention to one of the most promising sites: Gila Bend, Ariz.
A wolverine snuffling at your throat commands your attention, even if you're in a relatively safe enclosure at a clandestine refuge for the animals. 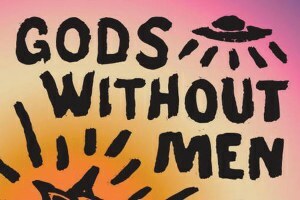 In Gods Without Men, British novelist Hari Kunzru wanders through time and space in California's Mojave Desert. 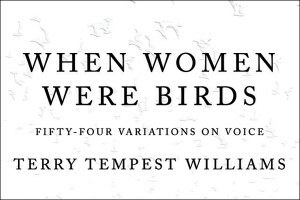 In her latest memoir, When Women Were Birds, writer Terry Tempest Williams tries to solve the mystery of the cloth-bound journals her dying mother left her -- all of them completely blank. 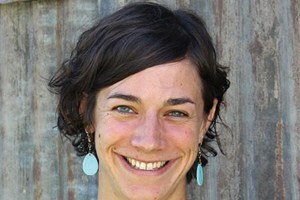 HCN is visited by students of all ages; meeting Michael Branch; Stephanie Paige Ogburn is a finalist for the 2012 Livingston Awards for Young Journalists; Sierra Crane-Murdoch receives scholarship; Tony Barboza wins fellowship. Something in the desert water?